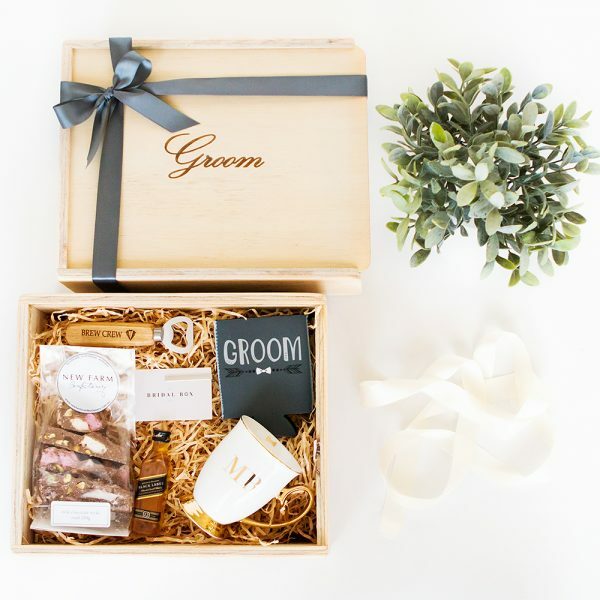 With our custom Groom Box, you can give him something to start the journey with. What you fill it with is completely up to you – an all-time favourite is a timeless watch. Like your ring, he’ll wear it every day; and just like your ring, it will serve as an heirloom piece one day as it gets passed along to the next generation. Our Groom Gift boxes come pre-packed with custom made wood wool – a soft, classic base ready and waiting for your custom gift selections. 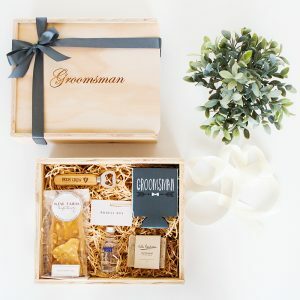 Select your own items to add by clicking on ‘Gift Box Items’ in our menu.